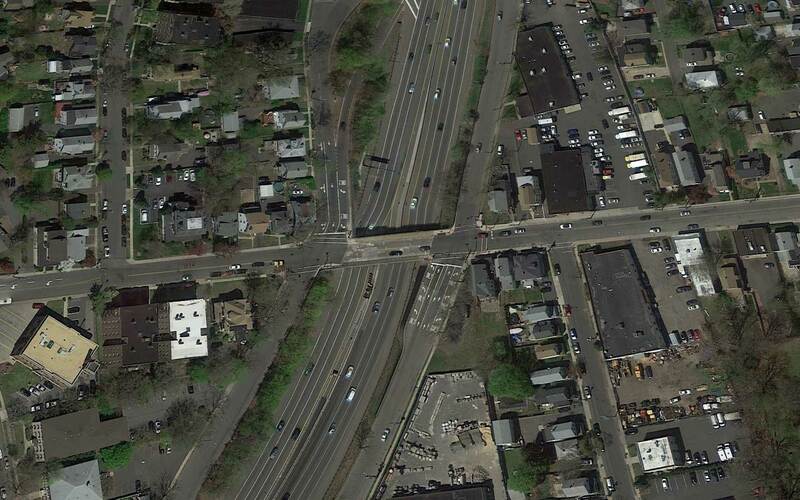 Westbound Montgomery Street at JFK Drive North has been detoured to Liberty Street to accommodate bridge deck reconstruction on the bridge over the Garden State Parkway. This traffic configuration will be in place through November 2019. Work will be supported by Bloomfield Police. Please refer to the graphic below and CLICK HERE to see full-sized, animated graphics of the detours on the project website. Bridge reconstruction work will continue during the day. Work will be supported by Bloomfield Police. 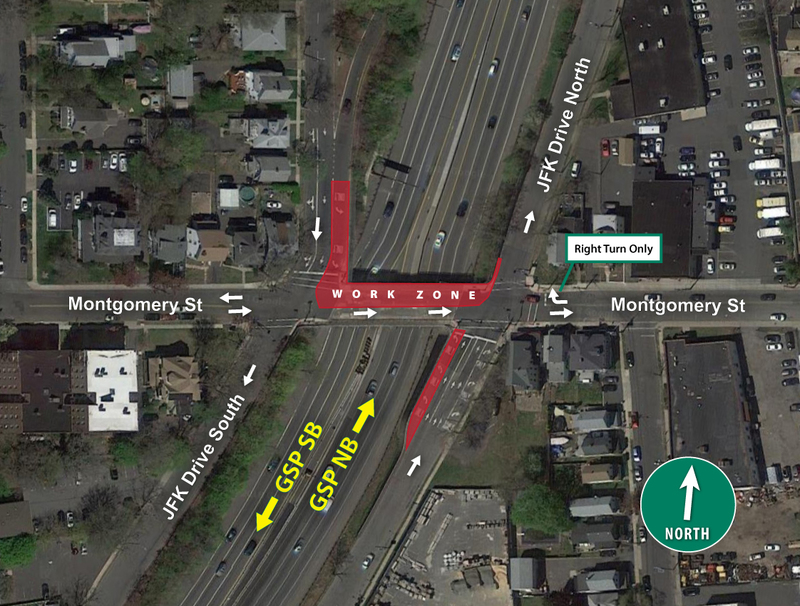 During the evening of 04/19/19 Montgomery Street will be completely closed from 8:00PM to 5:00AM, for bridge concrete work. Work will be supported by Bloomfield Police.